If you are one of those people who have more imagination than just drinking Guinness or other yellow, fizzy, watery beers, you may wish to consider a holiday that includes exploring good quality beer in the USA. Those of you that are open-minded may be aware of the West Coast IPA phenomenon, but now may be the time to experience it for real rather than just a cold beer from your fridge. 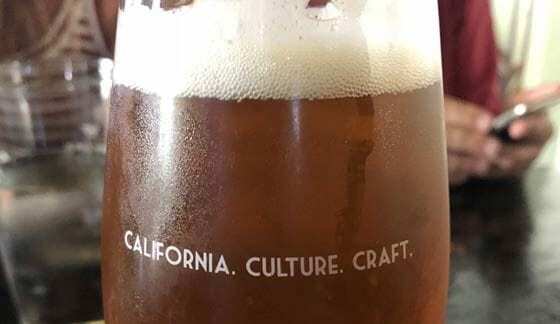 California has all the ingredients for a great holiday with the perfect combination of Pacific coast, blue skies, sunshine, great food and, of course, great beer. Aer Lingus are the only airline to fly direct to LAX from Ireland, whereas numerous airlines via a connecting flight, fly from the UK into LAX and San Diego. There are two types of breweries and tap rooms to visit whilst in the Los Angeles area and 120 miles down the road in San Diego. There are the large well-established gastropub, distributer, breweries and the much smaller local boutique breweries. 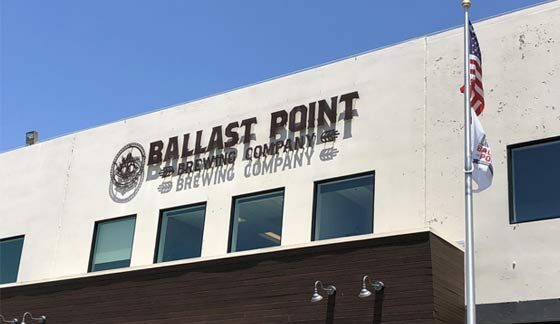 Stone Brewery and Ballast Point would be two of the larger breweries in California, which having started as small local craft breweries back in the late 1990s. They have now expanded to multiple locations in California and across the US. 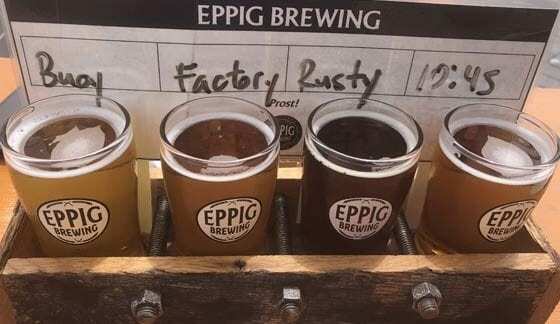 Visiting these more famous breweries is also a pastime of many Americans, who specifically visit these venues for brewery tours and to drink and dine in their restaurants. The buildings are very spacious and are also working breweries, so you will see all the large fermentation tanks and pipework in the back ground. There is something unique to sitting at a bar with a massive list of beers on the wall to choose from, yet behind a glass wall you can see how all the magic is made. These breweries cater for families by offering superb choice of food, along with an extensive range of beers in stunning relaxing settings. You will see many large families out together around long tables enjoying the offering. The Stone Brewery in Escondido has a near tropical garden attached with pools and palm trees etc. which makes the outdoor dining experience all the more enjoyable. When you have finished your dining and drinking experience, there is always the shop on site to visit offering a vast range of merchandise. 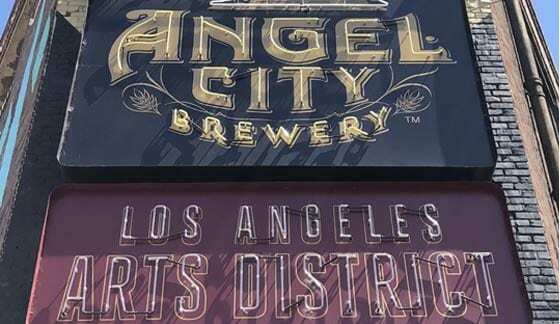 If you have decided to plan a route yourself for some of the smaller breweries, you will find that this is a great way to explore many of the various neighbourhoods that the two large cities of Los Angeles and San Diego have to offer. Southern California certainly has a beach and surfer vibe to it and you will find driving through many of the smaller beach communities very enjoyable. In amongst the amazing houses, palm trees and endless food establishments, you may find tucked away a small boutique brewery. 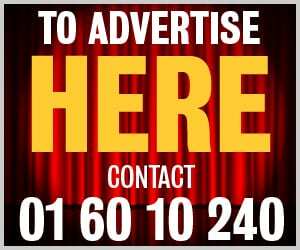 These can be hard to find, as often, they are situated within industrial estates, where they neighbour other smaller commercial enterprises. On the high streets they may just be nestled in between a surfer shop and a cafe or smoothie bar. The smaller breweries don’t waste an exorbitant amount of money on advertising to attract customers. Those that want to seek out these establishments will come looking for them. The money saved can be invested in the process of creating great beer and food. Often these small breweries will be very spartan with painted breeze block walls and exposed pipework etc., but always they are warm, friendly places to visit. A stranger turning up to try a flight (tester) of the beers to sample will be met with an enthusiastic barperson/owner who will be more than happy to explain all that they have to offer and their whole history. If you plan on visiting California, you will find this that this is a great way to mix with the locals and engage in friendly conversation with other like-minded individuals. California is blessed in so many ways from the stunning beaches and scenery to the endless blue skies and sunshine. A visit to the west coast of the US, to some, may feel like walking into an episode of Baywatch, but I suggest that there is no better way to take in the amazing surroundings than to find a brewery and enjoy (sensibly) a nice cold beer and just hang out with the locals.